As different technologies continue to mount, Progressive Web Apps are set to signal technical progress and innovation in the mobile app development space. More importantly, unlike responsive web designs, these apps are seen seamlessly uniting desktop, mobile and app experiences. In simple words, PWAs are a rare combination of experiences that combine the best of the web as well as apps. Users who visit a browser tab for the very first time, without any additional installation required. Have you wondered why? Because it becomes more and more powerful as a user progressively builds a relationship with the app over time. Everything happens to load quickly, even on flaky networks, you can send relevant push notifications, also have an impressive icon on the home screen, and basically loads as a top-level, full-screen experience. Linkable- They’re zero-friction, zero-install, and easy to share. How Progressive Web apps came into existence? Several years ago, tech giant Google came up with a rare comparison between top 1000 mobile apps vs. top 1000 mobile app properties (web). They basically wanted to study reach and user engagement. And the comparison showed a great disparity in user behavior. Mobile web reach seems to be remarkably higher than native app reach. While on the other hand, user engagement stats show that users tend to spend more time on mobile apps instead of the mobile web. PWA came into play where professionals can easily provide a native app like engaging experience to users on the mobile web. Responsiveness: Unlike mobile apps, progressive web apps are highly responsive. In simple words, they auto adjust the layout depending on the device. So whether you are using a mobile or a laptop, desktop, PWA’s are capable of fitting any and every device. Security: Unlike traditional web apps, PWA’s are more secured. Being always served via HTTPs, one can believe that the app can is tamper proof and cannot be vandalized. 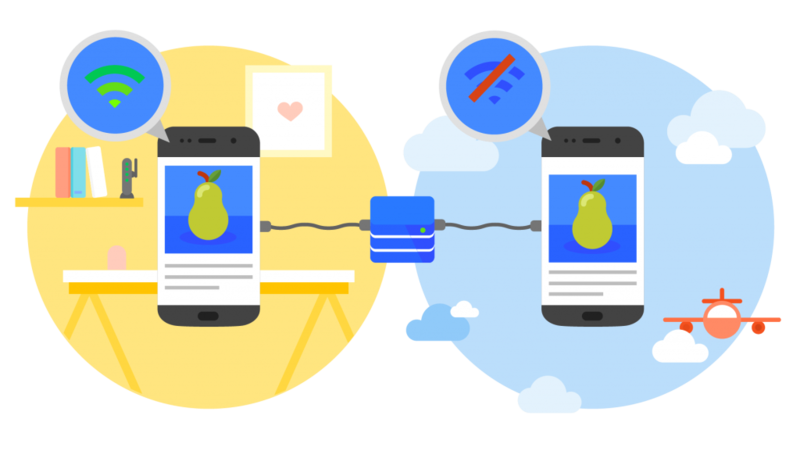 Reliable network: It may quite interest you to know that Progressive Web Apps are the ones to rely on even when the network is shoddy as they can work offline. For instance, Konga, a leading e-commerce website in Nigeria managed to reduce 92% of the user data usage due to its Progressive Web App. Look and Feel– Being a normal user you won’t be able to spot any difference between PWA and the native app as they both exactly look and feels like a native app. In addition to this, PWA even provides similar features like push notification, integration with the system, display icon on the home screen and app drawer, etc. Easy Update– One of the most amazing aspects here is Progressive Web Apps are extremely easy to update. And since no app store works as a mediator, your users can enjoy the updated app as soon as you have updated it from your side. BookMyShow– Who doesn’t know about one of the leading ticketing company in India. They developed a Progressive Web App in 2017 to replace their mobile site. The change broadened its customer base and increased conversions. Although, before PWA came into existence, 85% of transactions were carried out on mobile. After this, the firm was capable of offering a seamless ticket-booking experience to mobile users, without becoming a burden on their device’s storage and memory capabilities. Forbes– A top U.S. business magazine website that provides articles on finance, marketing, investment, and industry topics recently got converted into PWA. This led to an increase in load times and doubled engagement rates through the use of push notifications and an option to add the Progressive Web App to home screens. OLX- Being one of the largest online classified ads directory in both India as well as Pakistan, OLX required focusing on its mobile user experience. What they did was, they came up with PWAs featuring push notifications — just like a native app — and offered users an immersive, app-like experience on their mobile site. What happened next? Serena Cooper a successful Technology Observer with 5 years of experience, also she has expertise in Website Design, Development, Online branding. Currently she is working with a Mobile app development company etatvasoft.com. She’s person with high spirit and fond of social activities.